Kauai Luxury Properties, Inc. ~ Making Dreams Come True! Islander On The Beach Bldg. Courtesy of Kauai Luxury Properties, Inc.
Julian A Coiner, Principal Broker and Mindy Williams really care about their clients! "Our Mission here at Kauai Luxury Properties, Inc is to build upon our sterling reputation of personalized service and professionalism in handling transactions. Honesty, integrity and professionalism coupled with creative and innovative ideas constantly yield exceptional results for our clients. With a combined 30+ years of Real Estate experience, we have the knowledge and experience to help a wide array of clients achieve their real estate goals." What a few of our clients have to say about us! Roger & Jenn Buck Your diligence and digging were instrumental in finding us a condo that was not officially on the market. We knew when we first saw it that it would be perfect for us and again thanks to your diligence in keeping us posted about the market we were able to buy it at a very attractive price. Thanks again. Bruce Bruchman I’ve been on the buying and selling side with Julian and can’t say that in my last ten or so real estate transactions throughout my life, that I’ve worked with a more professional and genuinely caring person. Straight talk and hard work is what I have seen in this agent. 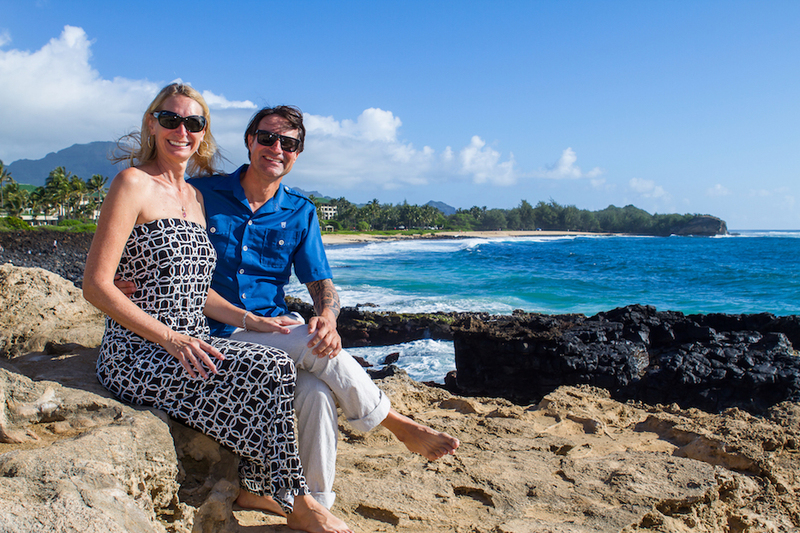 Never knew buying real estate on Kauai could be so much fun!